The Orlando theme parks such as Disney World, EPCOT, Universal Orlando and Sea World can be open as late as 1 am or even later. 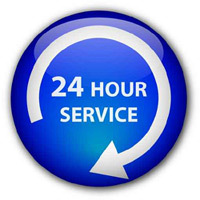 Make sure you have 24 hour access when you rent a scooter in Orlando in case you have a question about charging or an issue late at night. Many companies close early or offer voice mail messages only after hours. Since you must charge your scooter every night for the next day, if you have a charging issue or a question, you will need a company that has 24 hour technical assistance. Confirm what the hours of the scooter company you rent from are and how any late night calls are answered. Is it a representative from the company with knowledge who can access your reservation information and answer technical questions? If you have an issue late at night it can spoil your fun to find there is no one available at the other end of the telephone to help you out. Scooter Vacations takes reservations from 6 am to 11 pm and 24 hours technical customer service 365 days a year and it is always a company employee that answers you call to assist you. Click here to check out how to rent a scooter in orlando from us and to see the six models we have to choose from.